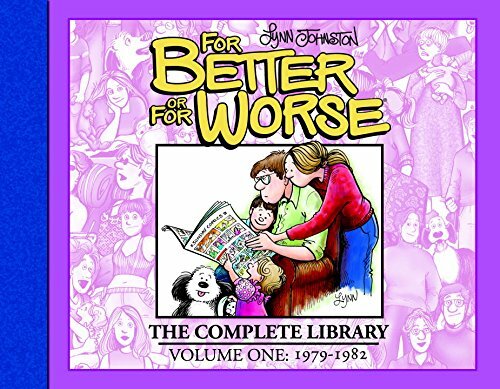 Watch Lynn Johnston and Kurtis Findlay unbox the first volume of the new For Better or For Worse series, from the Library of American Comics. The official release date is October 25th – check your local comics shop for your copy! Here’s a closer look at the cover! This entry was posted in News and tagged idw publishing, library of american comics, lynn, treasury book, video on October 4, 2017 by fborfwnews. Welcome back, Elly, John, and the entire Patterson family as IDW Publishing and the Library of American Comics proudly announce For Better or For Worse: The Complete Library by Lynn Johnston. These definitive hardcover editions will collect the entire series in nine volumes, three books per decade of the strip. You can read the complete press release here. The first volume will be available in October of this year; stay tuned to our website for more news, as it happens! This entry was posted in News and tagged idw publishing, library of american comics, The Complete Library on March 31, 2017 by fborfwnews.